This is a true classic Kiwi bach with stunning views overlooking the South Pacific Ocean. This is the perfect haven for fishing, hunting, surfing and diving, or just chill out on the balcony and soak up the atmosphere of the Tora lifestyle and the amazing coastline. 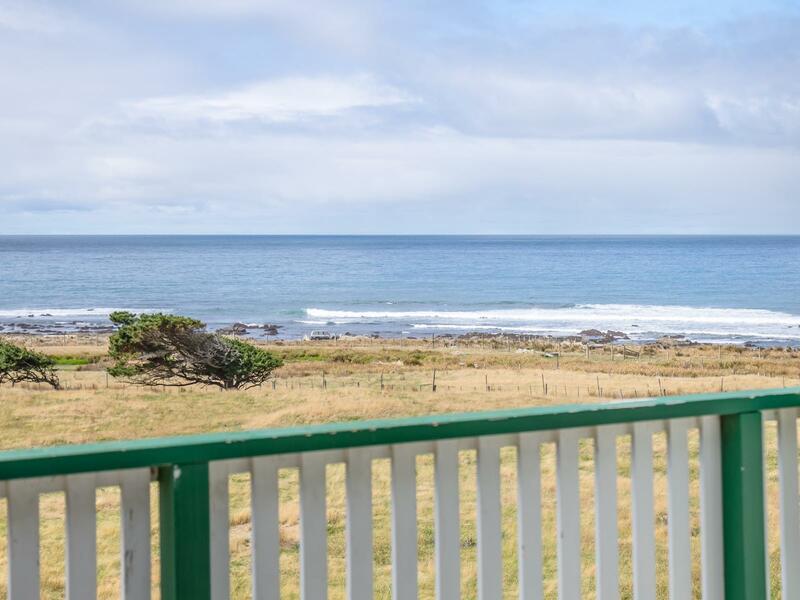 The bach has direct access to the beach where paua, crayfish and fish are plentiful in this remote slice of heaven, and only an eight minute drive to the local boat ramp. Upstairs you will find the lounge where you can just sit back and relax or sit on the balcony and admire the view. With four bedrooms below it is currently set up to sleep fifteen people, ideal for the large family getaway. The 1950's era Nissan Hutt has been set up with the kitchen, laundry, two toilets and two showers. Outside there is also a shed, a fish filleting station and two outdoor entertainment areas for you to relax. Situated only forty minutes from Martinborough you will fall in love with the peace and tranquility Tora offers. With so much to see and do you may never want to leave. To secure this peace of paradise call either Benn or Erin (before someone else does! ).